I’ve heard and read so much about going zero-waste and packaging-free. While I would love to make the effort, it just isn’t realistic for my lifestyle. Yes, I recycle. But I also can’t live without my Amazon Prime orders and I even sometimes forget to bring my own bag to the grocery store. It’s definitely easier to be more conscious of creating less waste when it benefits my bank account, too. 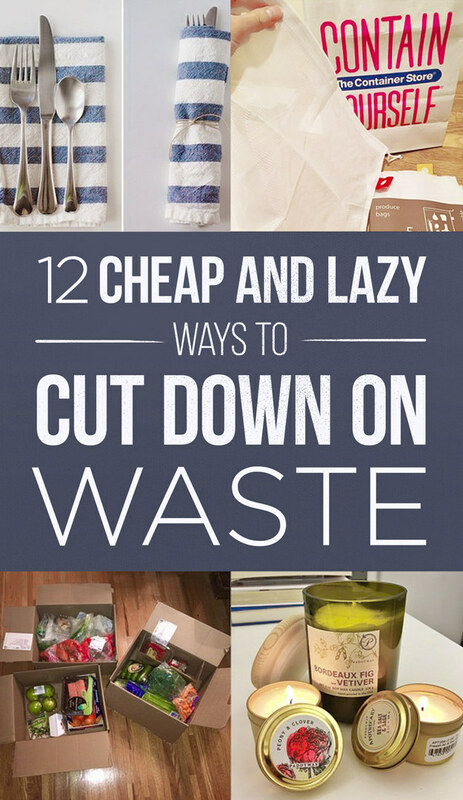 Here are some of my favorite tricks for cutting down on waste and saving energy. 1. 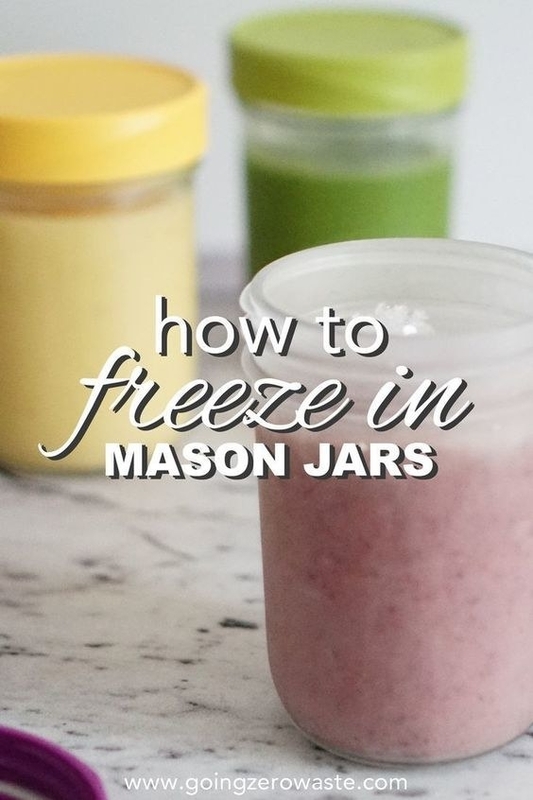 Freeze things in mason jars instead of ziploc bags. You’ll want to follow directions on how to leave enough space for liquids because glass can break when liquids expand in freezing temperatures. 2. Set your fridge between 35 and 38 degrees and pull it a few inches away from the wall. The optimal temperature of 35 to 38 degrees will keep your perishables fresh and cold, and while setting the temperature colder seems tempting, it just increases your energy bill. If you don’t have a fridge that demarcates exact degrees, you can get a fridge thermometer to find out. 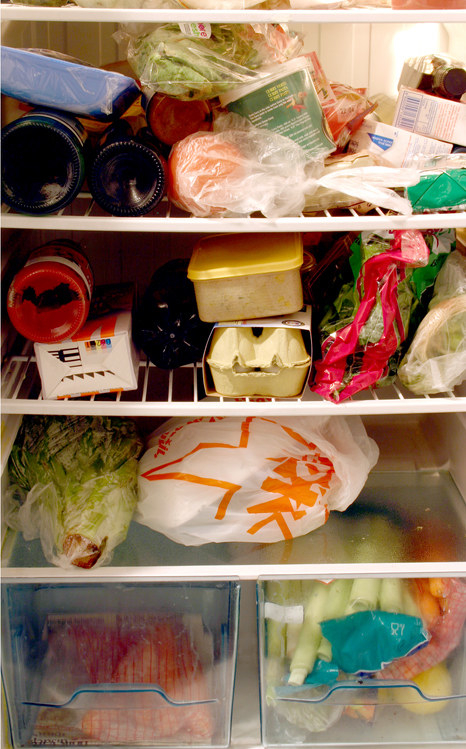 It helps to pull your fridge 1–2 inches away from the wall because it’ll make it easier to keep your food cold. 3. Buy more things at thrift stores. 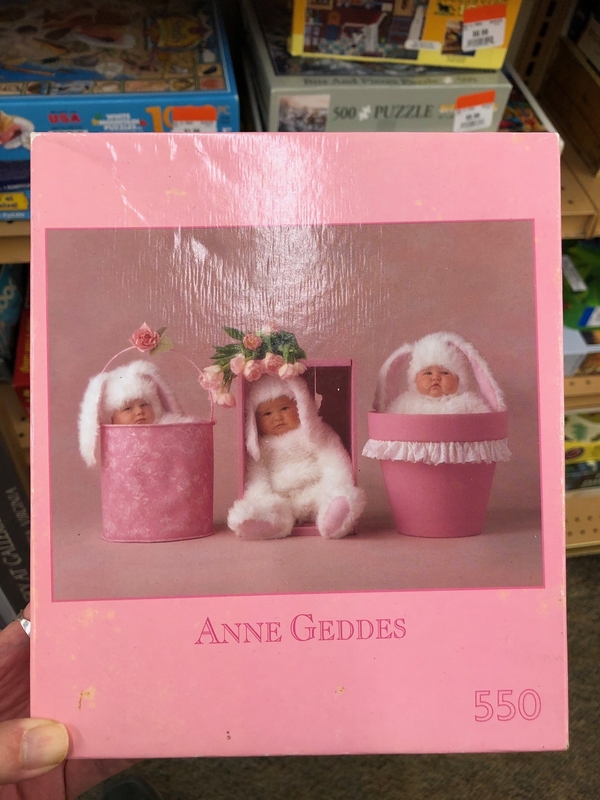 Here are some random gems I found on my last thrifting trip. I honestly find that clothing that was made in past eras is so much higher quality than what you find now in fast fashion stores. 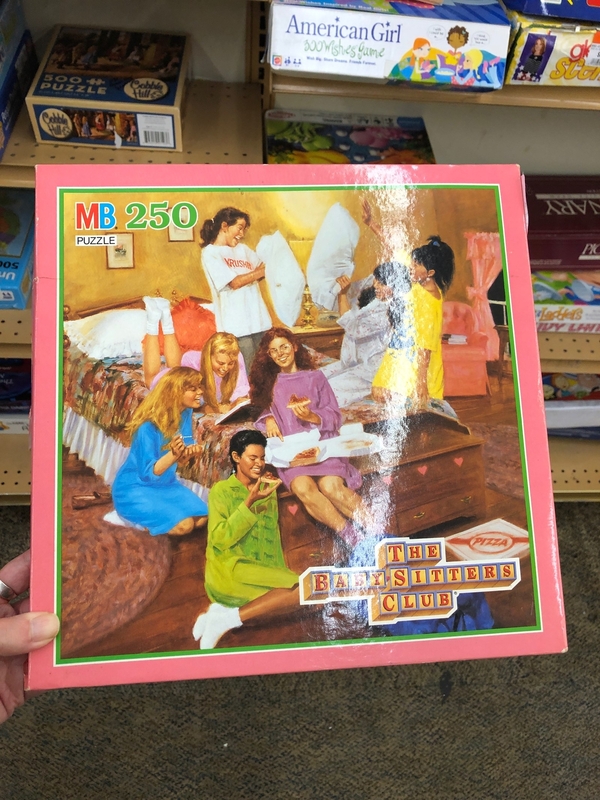 As long as you have a basic sewing kit and some OxyClean, you can find really special pieces at thrift stores that will last even longer than the shirt you got at H&M last week. Thrift stores are also great for things like glass jars and ceramic canisters that are perfect for storing things in the kitchen that would otherwise require a plastic bag or container. 4. Grow your own green onions and herbs. Green onions are one of the easiest plants to regrow from the stubs. 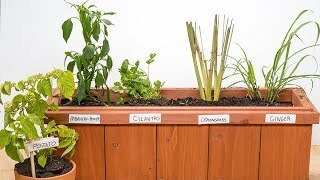 Growing your own herbs cuts down on the plastic and styrofoam that store-bought herbs tend to be packaged in. 5. 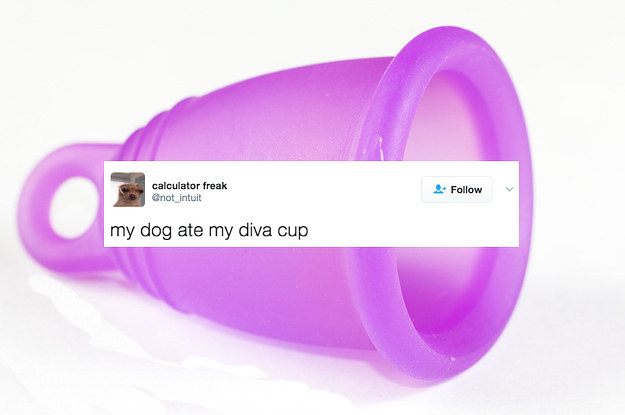 Make the switch to a reusable menstrual cup. It takes some getting used to, but I am never looking back on #tamponlife. 6. Keep your refrigerator and freezer full — it saves energy! This keeps the temperature of the fridge consistent, so that it’s not using additional energy when you’re opening and closing the door. If you have trouble filling up extra space, you can always fill up jugs of water and stick them in the fridge. As for the freezer, here’s a great list of all the foods you can freeze. 7. 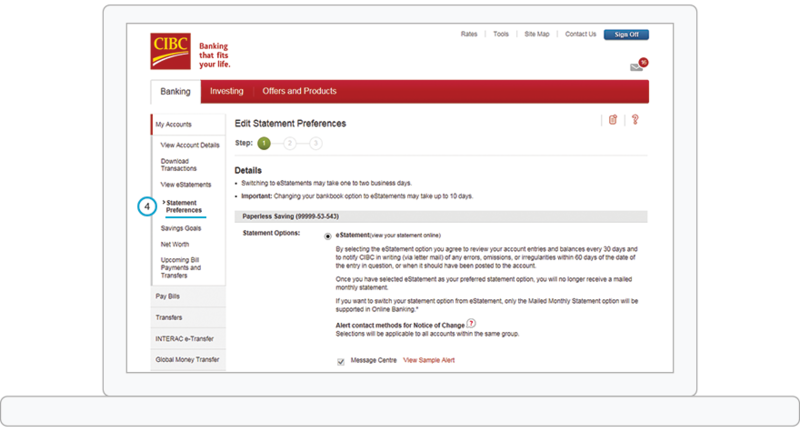 Convert to electronic statements and bills. Seriously wish that more companies would make electronic statements the default option. 8. Stop using paper towels — you’ll save money and space. OK, hear me out. I live in the BIG CITY and not only is carrying big rolls of paper towels home from the grocery store a huge pain, but it also takes up valuable space in my apartment. I’ve switched over to using dish towels and cloth napkins for almost everything, except, say, wiping up cat throw up. While you can definitely buy cloth napkins, here’s a really easy way to make them out of dish cloths for cheaper. 9. In addition to using reusable shopping bags, start using reusable PRODUCE bags. 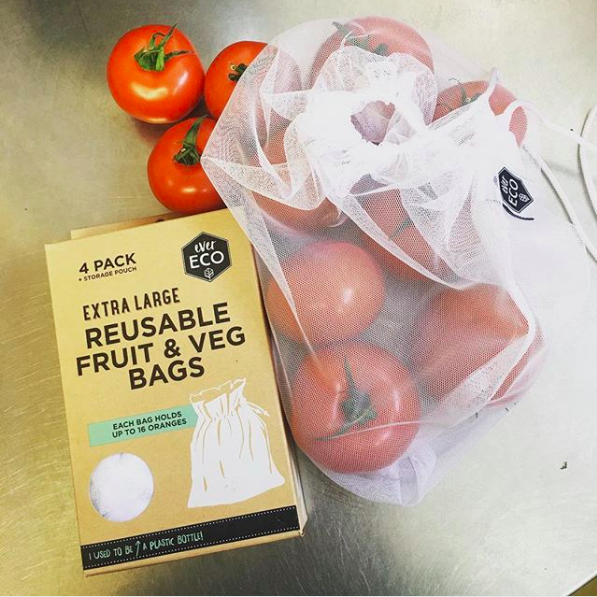 The nice thing about these bags is that they keep your vegetables well-aerated so they’ll last longer. (For leafy vegetables, don’t seal the bag tightly, or preserve them longer by wrapping them in flour sack towels). If you use them for fruit, they’ll also keep away fruit flies. You can find these mesh produce bags at The Container Store, Crate and Barrel, or on Amazon for $12. These reusable bags that remove ethylene gas are also a great option. 10. Make sure your oven is properly insulated and updated. 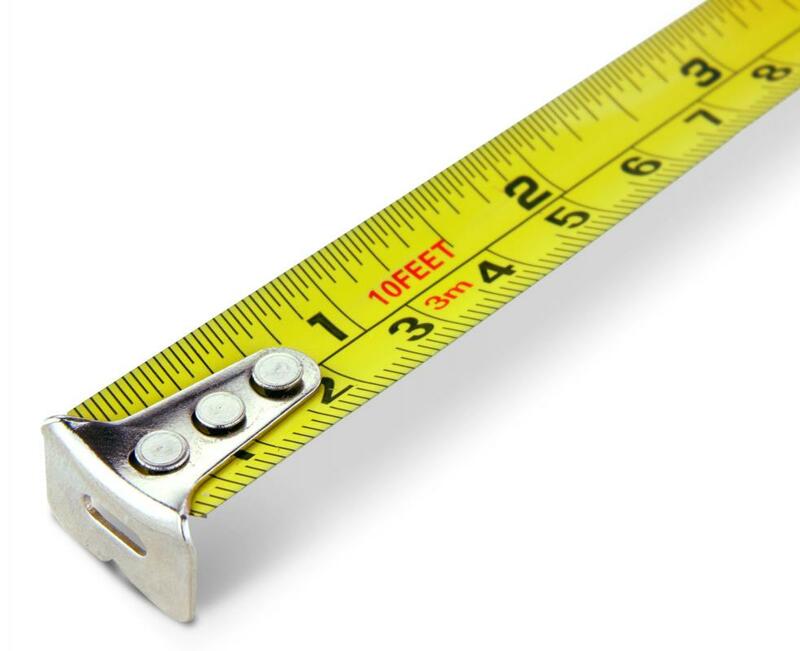 You can check if your oven is properly insulated by using a an oven thermometer. Or you can try this crazy hack where you test two batches of sugar: one at 180 degrees Celsius (354 degrees Fahrenheit) and another at 190 degrees Celsius (375 degrees Fahrenheit). The one tested at the higher temperature will crystalize because of science! You can watch in detail how this works here. 11. If you love candles, try using beeswax or soy candles. If you spend a quarter of your paycheck on candles like I do, you should know that beeswax and soy (pesticide-free and non-GMO) candles burn longer and cleaner than regular (paraffin) candles. A clean burn usually indicates fewer toxins and chemicals in the candle. Make sure you get them with a cotton wick, which also extends their burn time. If you’re concerned with expensive prices, Paddywax offers $6 travel-size tins and a range of affordable soy candles in recycled glassware. 12. Consolidate your electronics onto strips, making it easier to save energy. I use a combination of two surge protector power strips and one extension cord to power things in my room so I’m able to shut off all electronics with one flip of a switch before heading out for the day. You can find surge protectors here. However, don’t daisy-chain your power strips. 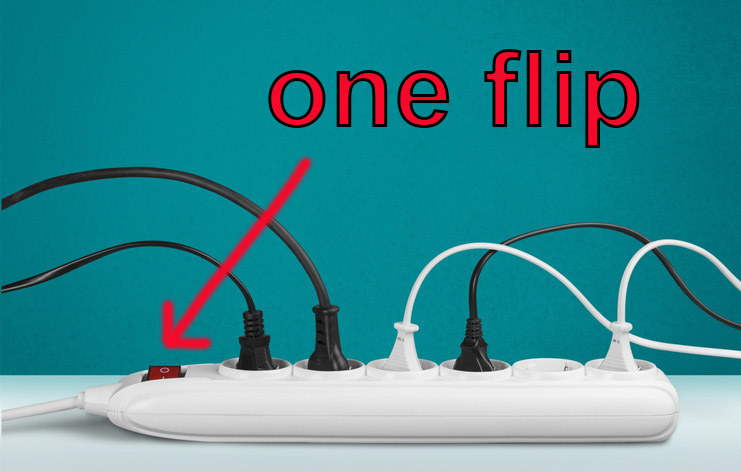 If you’re going to use more than two around the room, don’t occupy every single plug of every protector as this can cause fires. Next story Can We Actually Guess Your Age Based On Your Cheese Preferences?